This is it – the final gift of Christmas in July! There are still six days left to enter the Goodreads giveaway and get a copy of A Holiday Wish for just 99 cents, but today’s gift is the biggie – it’s the cover reveal to Book 2 in the Silver Bells series, A Holiday Gift! 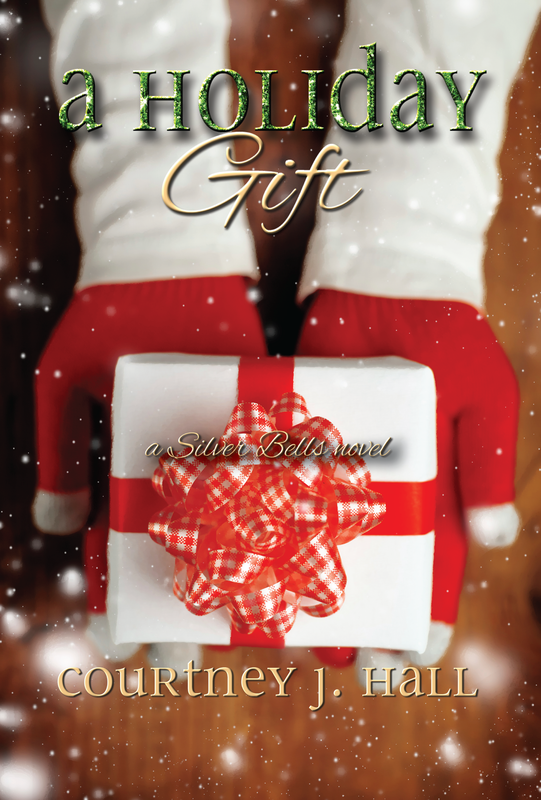 A Holiday Gift centers on Lindsey, a peripheral character from A Holiday Wish, and takes place at the same time. You’ll see familiar characters and scenes involving Noelle, Brooke and Everett, but from Lindsey’s point of view. Lindsey is a twenty-five year old widow with a 2 1/2 year-old daughter named Charlotte, and her dream has always been to open her own bakery. But having a baby before she could graduate college and the unexpected death of her husband have left her pretty much dependent on everyone else, and the last thing she can spend money on is a storefront. When Springhollow announces it’ll be hosting a holiday baking contest with a grand prize of $10,000 – and the opportunity for more – Lindsey knows it’s her moment. The only problem is Sam, owner of a local but struggling bakery with whom Lindsey had the best first date of her life. Lindsey thinks she can win this, but not if she’s distracted by falling for the competition. She has to decide what’s more important – her future, or her heart. And now – the cover! I’d love to hear what you think!